CEREC One-Visit Crowns is a dental technology that cuts out the need for multiple appointments, invasive second injections and the use of rubber impressions. Most patients dislike having to schedule two appointments to have crowns measured for and fitted. Additionally, patients with dental phobia greatly benefit from CEREC as a general dentistry treatment option, as it reduces the amount of time that they spend receiving an essential treatment. If time management is something that is important to you, CEREC One-Visit Crowns are the ideal solution to restoring missing or damaged teeth. Dentists on the Square will carry out a comprehensive exam. Our experts will determine if you are a suitable candidate for CEREC One-Visit Crowns at our Philadelphia office. The process is incredibly simple, given that CEREC One-Visit Crowns uses advanced technology. A digital impression replaces the traditional method, meaning that there is no need for a rubber device during the process. The technology is so advanced that it can replicate exactly how the original tooth would have looked before damage. The CEREC One-Visit procedure can be used for full crowns or inlays, depending on your specific needs. Single visit dental restorations are the future for patients who are living increasingly busy lives. Imagine being able to walk into your local dental office and receive treatment on that very same day. Dentists on the Square is committed to expanding our treatment options so that you can. CEREC One-Visit Crowns is just one of the ways that we offer our patients convenience in dentistry. 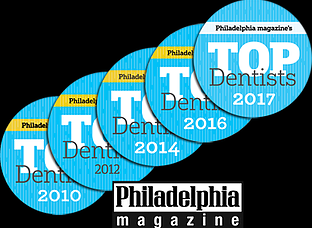 You won’t find another dentist in Philadelphia who values your time as much as we do. If CEREC One-Visit Crowns sounds like the treatment option you have been waiting for, contact Dentists on the Square to arrange a comprehensive exam at our office. If you are a good candidate for treatment, you will have your newly restored teeth in no time at all!